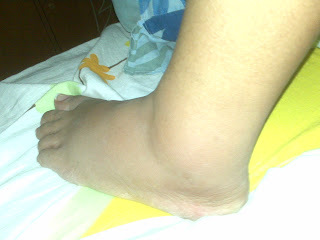 injured due to last sunday's activity. the fall wouldn't have had this effect had i been lighter. yeah, all of my weight went to my poor ankle.